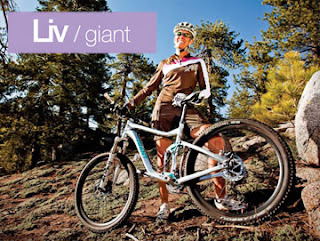 Join Century Cycles and Liv/giant Ambassador Lauren Ziedonis from Giant Bicycles at one or all of three special women's clinics at our Medina shop on July 8 and our Rocky River shop on July 9. All are FREE! Find the perfect fit for you! We'll have the new women's Anthem X 29er mountain bike! Test ride road, mountain, and triathlon bikes. Please bring a driver's license and credit card to demo bikes. No RSVP required. Learn the fundamentals of mountain biking! Mini clinic will go over steering, braking, shifting and basic skills to mountain biking. Arrive early if you'd like to use one of our mountain bikes for the clinic; first come, first served. No RSVP required. Fixing a flat tire isn't as scary as it looks! Join us for a bike maintenance clinic that will cover the basics on changing a flat tire and how to keep your bike riding safely. We will teach you how from start to finish. Light refreshments will be served; call 440-356-5705 to RSVP -- this clinic will fill up fast!